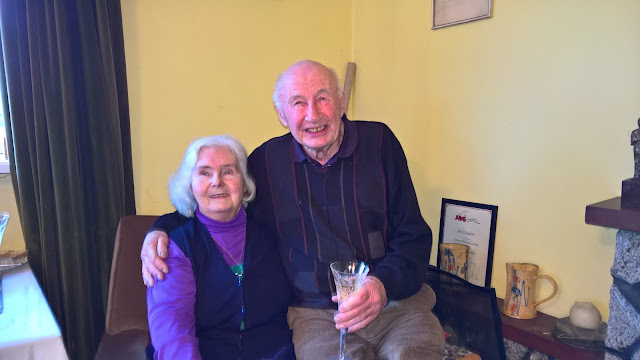 Yesterday was my Mum and Dad's 58th wedding anniversary, and we got together today in Ballingate to help them celebrate. For only the second time this year, all the O'Loughlin Family were together, and we had a great time chatting and catching up. There's nothing like family get-togethers, and we are lucky to be together on a day like today. 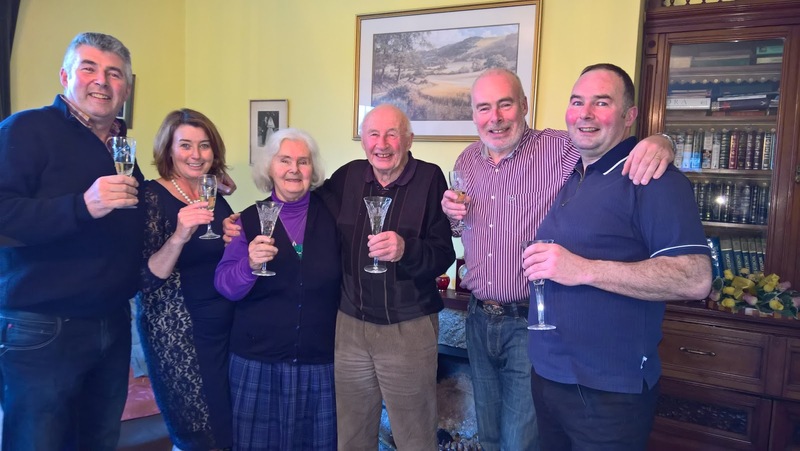 Joe, Kathleen, Mum, Dad, me, and Brian.